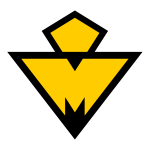 I am your leader now! 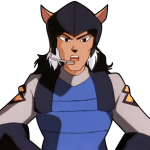 I control the headdress. 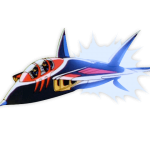 Nothing can withstand such power. 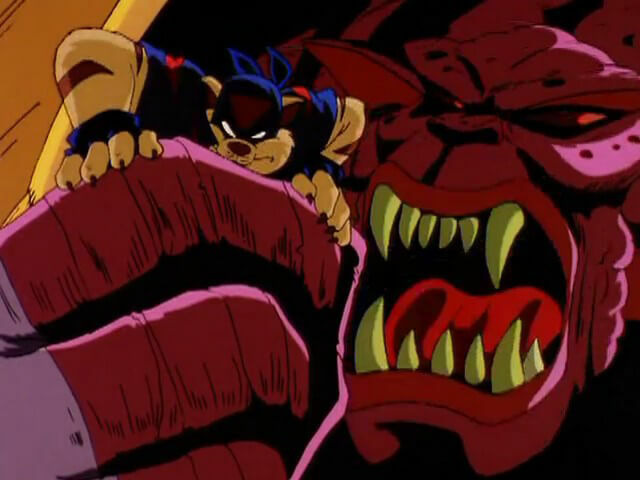 Soon, you and your brethren will storm Megakat City, and make me its rightful ruler. 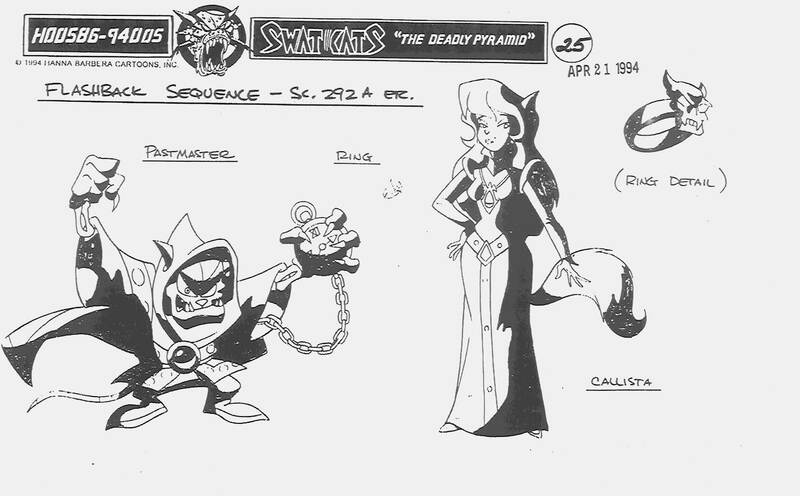 Giant Mummies controlled by the Pastmaster are unearthed them from “the lost pyramid of Katchu-Picchu” as part of his latest attempt to take over Megakat City. 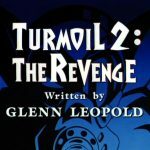 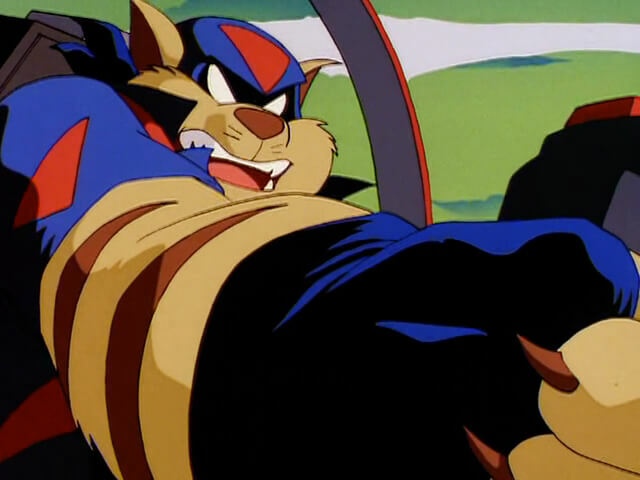 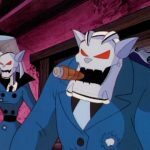 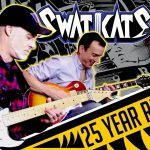 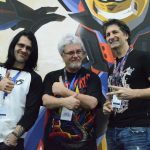 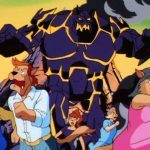 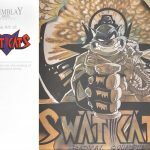 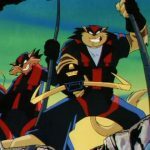 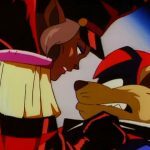 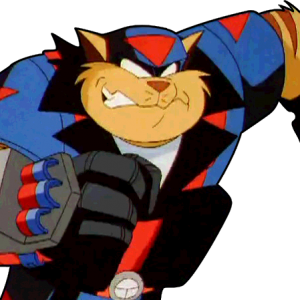 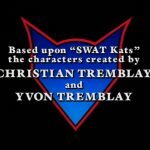 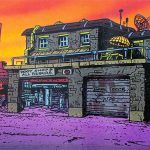 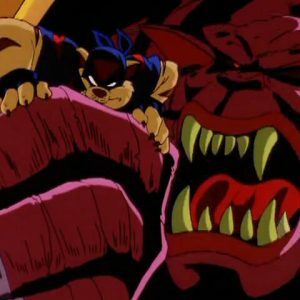 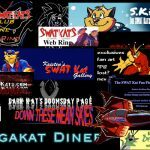 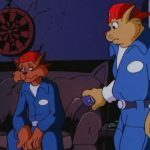 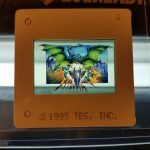 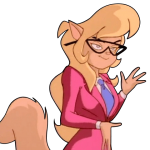 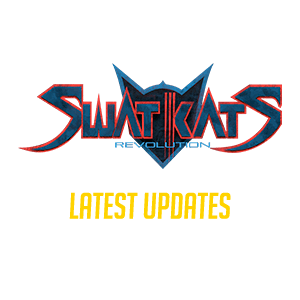 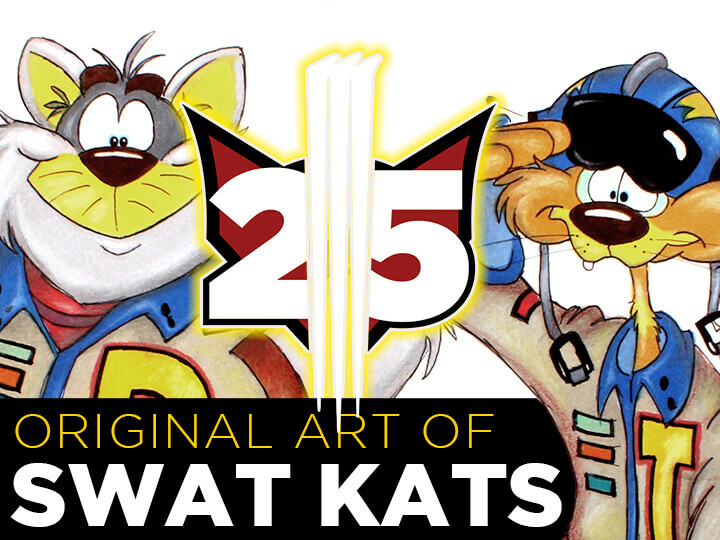 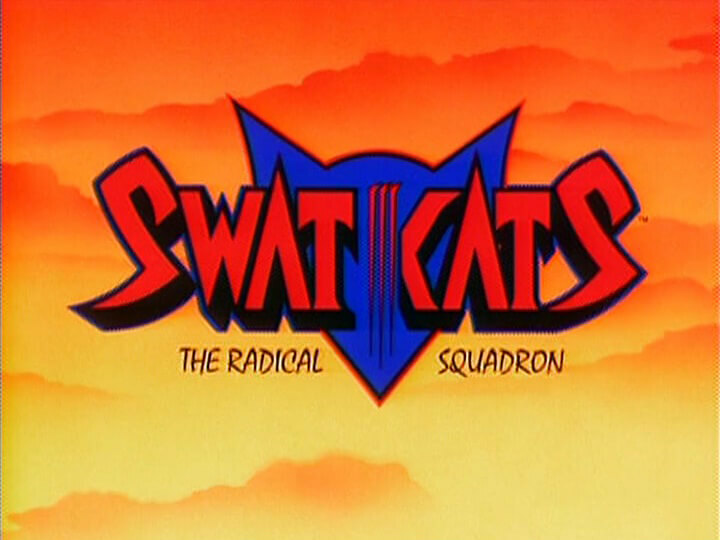 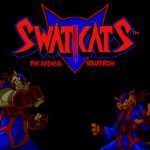 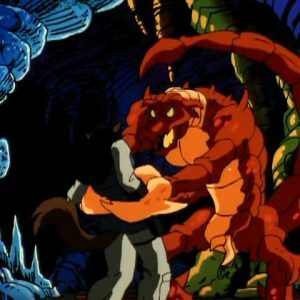 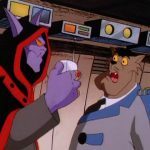 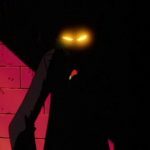 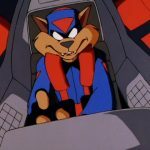 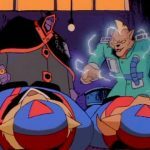 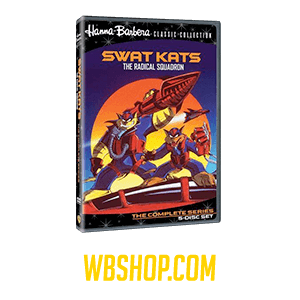 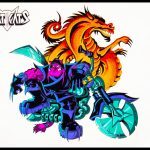 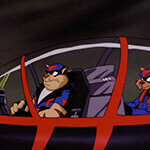 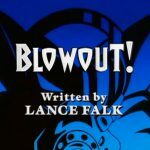 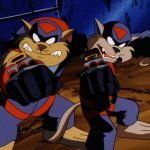 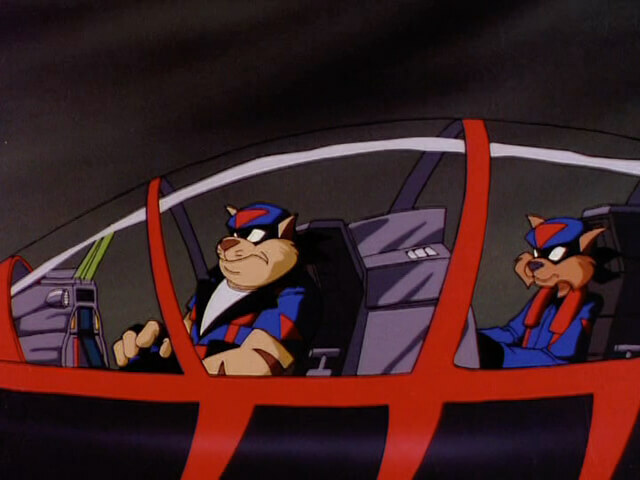 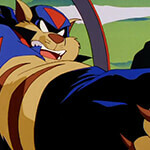 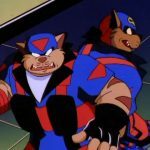 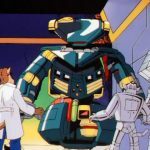 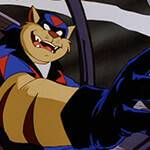 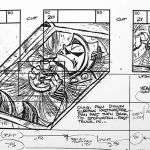 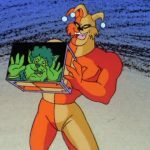 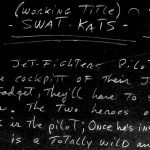 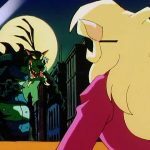 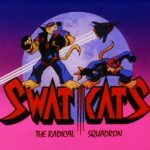 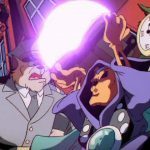 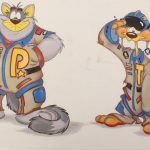 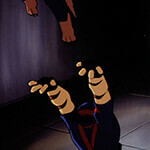  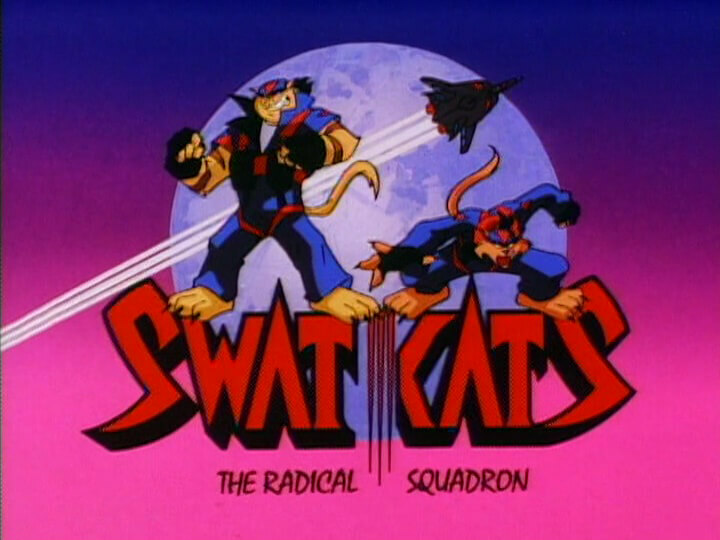 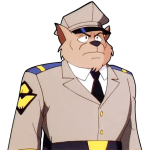 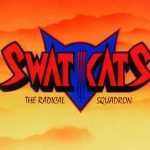 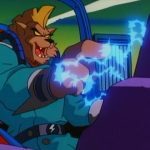 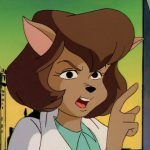 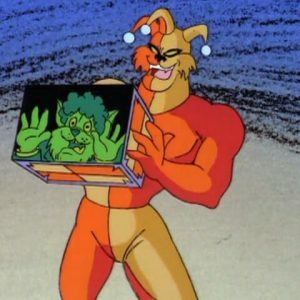 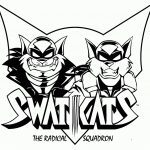 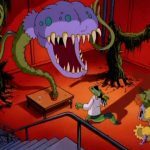 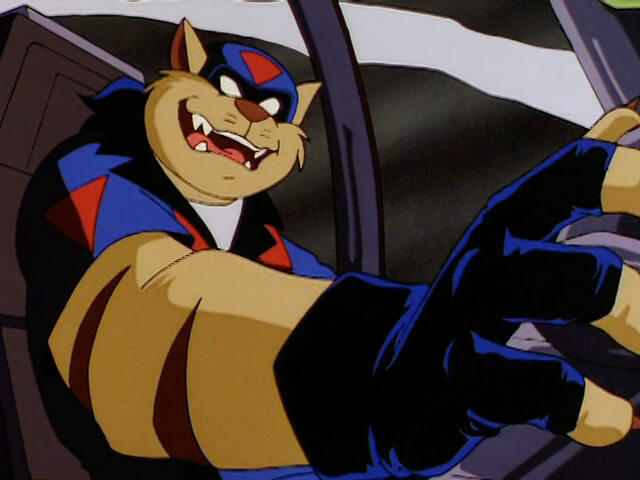 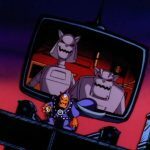 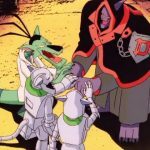 Amid autograph signings at the 2016 Anime Matsuri convention, SWAT Kats co-creator Christian Tremblay gave live commentary for his favorite episode of the series: The Deadly Pyramid. 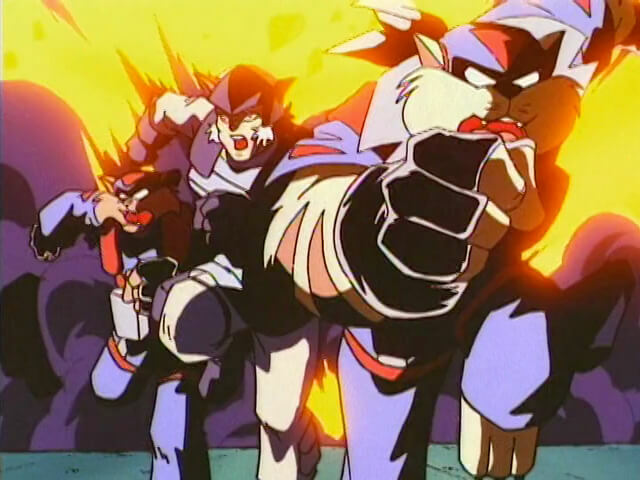 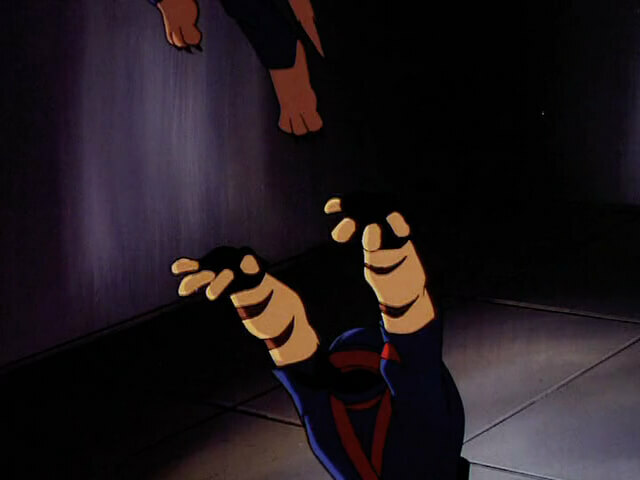 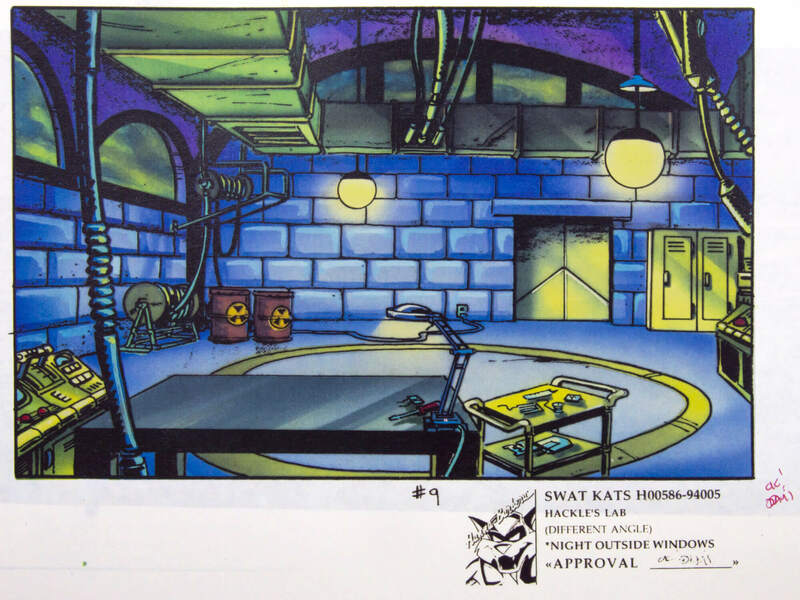 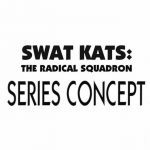 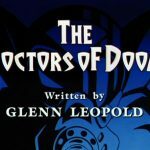 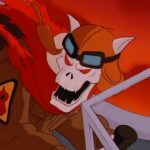 Every action/adventure cartoon does a mummy episode, but leave it to SWAT Kats to top the other series with an army of mummy commandoes as big as a small building. 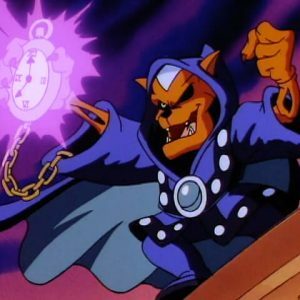 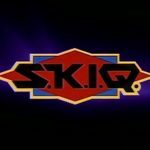 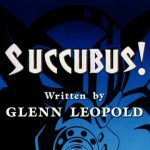 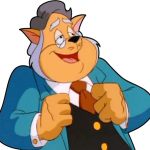 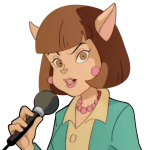 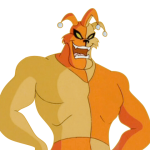 They’re controlled by the Pastmaster, who unearths them from “the lost pyramid of Katchu-Picchu” as part of his latest attempt to take over Megakat City. 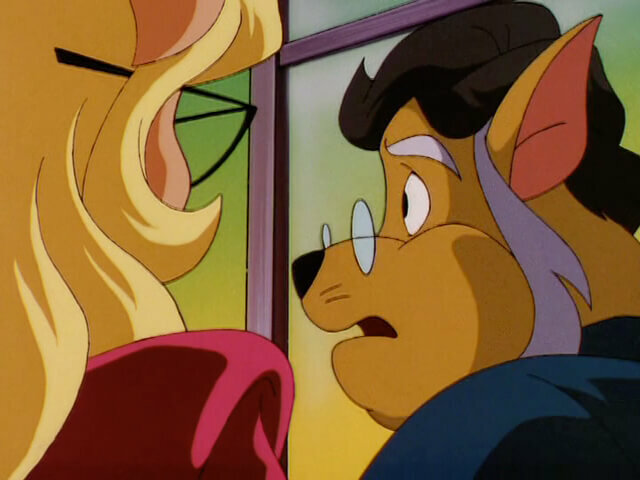 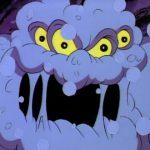 When one of the monsters knocks off Callie Briggs’ glasses, the sorcerer finally sees her resemblance to his beloved Queen Callista (“Bride of the Pastmaster”), so he kidnaps her and starts the whole “You will marry me!” business all over again. 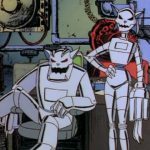 As in “The Giant Bacteria,” the plot is pretty basic and the violence is excessive, but “Pyramid” has some good points. 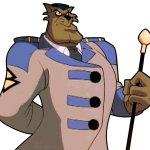 Appearances: Another member of “Pyramid”‘s crowded cast is Professor Hackle, making his only appearance in an episode without the Metallikats. 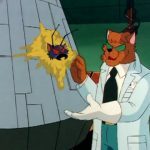 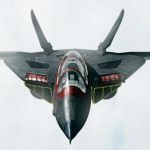 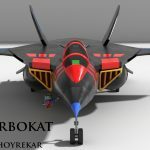 [We also see] Cybertron, a plucky, R2D2-like robot who protects the pilots and their friends. 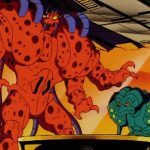 Considering the dismal track record of plucky, R2D2-like robots in TV animation, Cybertron is surprisingly tolerable, even almost likable.